When it comes to strength training, very few soccer players get it right. You must understand that today’s professional soccer player has to be a complete athlete in order to achieve any kind of success. You’ll want to build speed off the mark but also over 10-20 yards. You’ll need upper body strength to resist challenges and superb levels of both anaerobic and aerobic endurance to be able to go the distance. If you’re immediately associating strength with lifting weights, we have a lot of work ahead of us. The bodybuilding approach to your strength training will do your game a great disservice in the long run. Sure, you’ll build bulk, increase size, and move the cap of your maximal strength but also lose flexibility, agility, and aerobic endurance, which are the qualities that make or break a professional soccer player. Let’s go over different variations of strength training, as well as the phases they include. 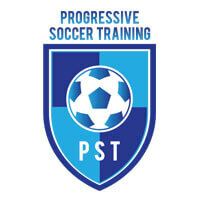 You can always upgrade your skills by checking out some of the best soccer training programs on the market, which can be of great help on your path to becoming a pro player. In soccer, you’ll need both lower and upper body strength. 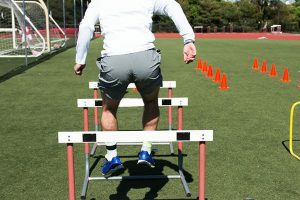 Lower body strength is required for jumping, kicking, twisting, tackling, turning, but it also builds the foundation for your explosive speed. You’ll need upper body strength to properly shield the ball, perform throw-ins, and hold off opponents. Keep in mind that it also contributes to the overall explosiveness and power. This is what we meant when we said you’ll need to be a complete athlete. Absolute or maximal strength – This is the maximum force your muscle groups can exert in momentary contractions. Look at it like this: a player who can leg press more weight will have greater maximal or absolute power. In practice, absolute power is essential for shielding the ball and holding off opponents. Note that absolute strength in soccer terms represents your explosiveness and speed. If you lift the weights slowly, you’re definitely missing the point of this type of training. Muscular power – Power comes from both speeds of movement and absolute strength. If you increase either one of those without decreasing the other, you’ll notice more explosive power in your games. This is where following a general weight lifting program from fitness magazines can actually do some good, provided that you do not lower your flexibility or speed. Adding the speed of contraction to those programs is an excellent way of enhancing them. You can also add plyometric training to your routine, which will bridge the gap between speed and strength. Endurance – This is the ability of your muscle groups to perform high-intensity repeated movements. It’s a crucial factor for good soccer performance, perhaps even more than absolute power. Regular weight programs will prove to be highly inefficient for developing strength endurance and should be replaced with circuit training. If you can include usual soccer movements into your circuit training, you’ll definitely see a substantial increase in your endurance levels. How do you train for absolute strength, muscular power, and endurance at the same time? The simple answer is – you don’t. Not even professional players can do that nor should they. The off-season – This phase is all about building your functional strength. You’ll prepare your muscles, joints, ligaments, and tendons for some intense work that follows in the next phases. You’ll also use the opportunity to strengthen your stabilizer muscles and balance the left and the right side of your body. Off season/early pre-season – The goal of this phase is to build your absolute strength. This is the routine most players repeat year-round to the great detriment of their performance levels. Here, you should focus on developing the highest force possible. Try to develop your overall strength first and then convert it to soccer-specific power. Late pre-season – This part of your soccer strength training should be dedicated to converting your overall strength into endurance and soccer-specific power. Soccer is one of the rare sports to demand both strength endurance and explosive power. Plyometric and circuit training routines are your best bet here and should replace your sessions with weights. In-season – This phase is all about maintenance. Just face the fact that you’ll have to lose some absolute strength in order to increase more competitive strength iterations. Be careful not to overtrain during your efforts to keep the results achieved in the previous phases. Competitive seasons roughly last around 9 months, so you should split your strength routine into smaller cycles.